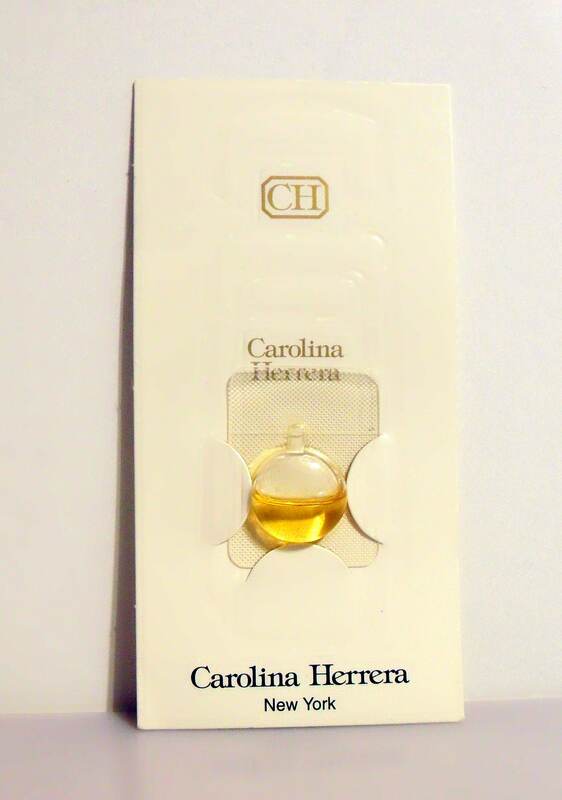 Vintage 1980s Carolina Herrera by Carolina Herrera 0.01 oz Eau de Parfum Splash Manufacturer's Sample Vial on Card. 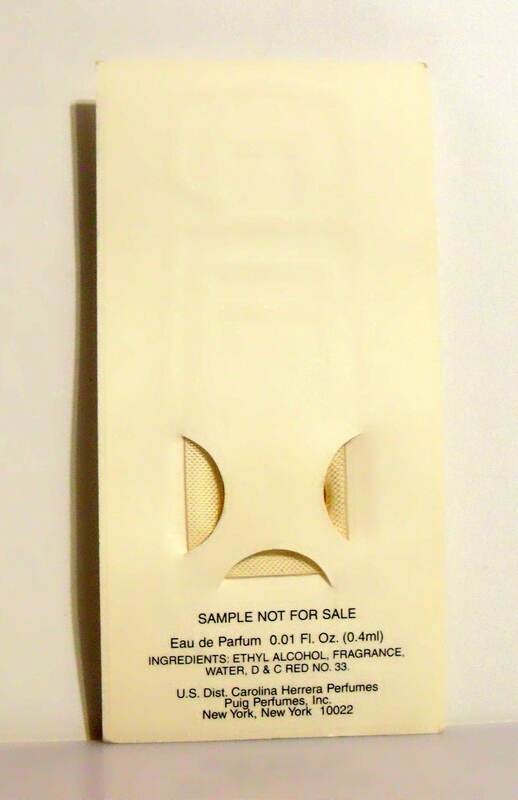 The fragrance is contained in a small foil ampule which you twist off the top to apply the fragrance. The vial is about 40-50% full - please see picture for actual fill lines. Carolina Herrera was launched in 1988 in association with Antonio Puig Parfums. It is classified as a a rich floral linear (without the standard three part structure) fragrance for women.